I decided to watch this UFO disclosure whacko vid to see how many of the "UFOs" I could positively identify. I didn't keep track, but it was about half, with at least half of the remainder appearing very likely to have mundane causes. Some of the shots were too brief or of too low quality for me to say anything about. Some of the sighting info was just plain fallacious, such as the Progress M-03M launch which I made a comment about there. How many errors or mundane phenomena can you positively identify? 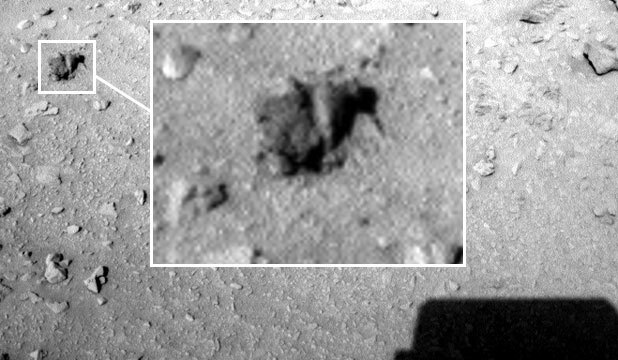 Well, apparently Curiosity has found a "rodent" on Mars. 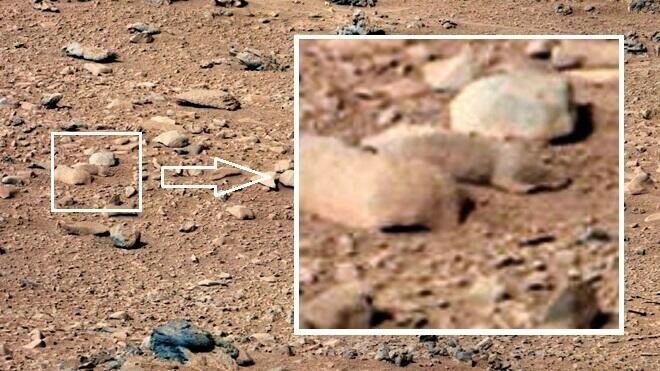 This either means they are faking it, or NASA has been covering up Martian life for years. Maybe H.G. Wells had it right! You can't be serious about this eh? We need to get a Mastcam-100 shot of that, that would clear things right up. Do people have nothing better to do than make themselves believe that they see Earth animals on Mars? This is a question one must never ask because you will never like the answer. Sometimes we find cities in the corner of these pictures. Goes to popular UFO truther vid. Makes debunking comment. Gets top comment status. That's pretty awful, but I still laughed. The text in this image was genius. Imagine that as a sales pitch in a travel brochure. I would like to respectfully direct this video to the attention of werdnaforever, and generally anyone who is suspicious about the circumstances under which WTC building 7 collapsed. And try not to be put off by the title, the guy does a good job of explaining both the "truther" and "official" claims, and compares them with the evidence recorded of the event and with engineering computer models which attempted to recreate the circumstances. Since both claims make testable predictions - and are thus falsifiable - this is simply a classic case of scientific investigation. Excellent, I'll have to show this to a conspiracy-minded friend of mine. I'd already long explained the fallacies and flaws in his description of how the WTC towers fell, but I never had enough info on building 7.